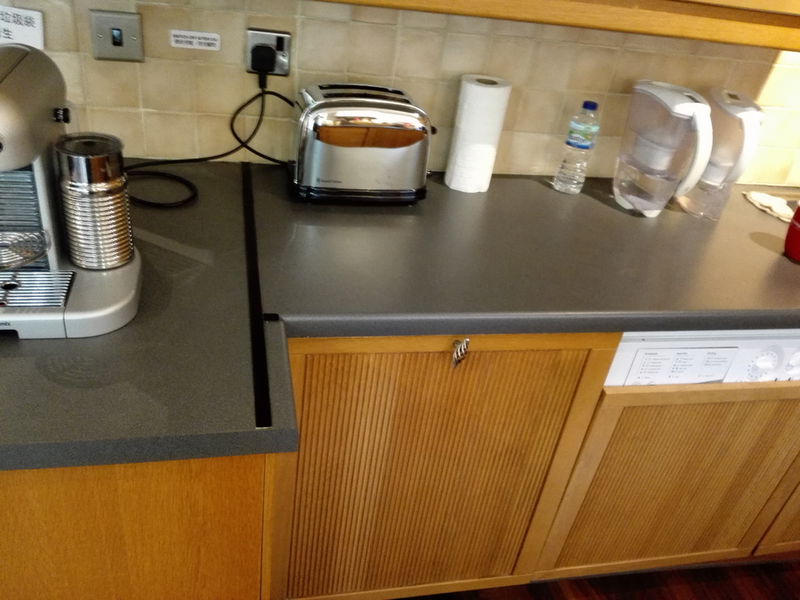 I need worktop replaced. Job has to be done on any Saturday. 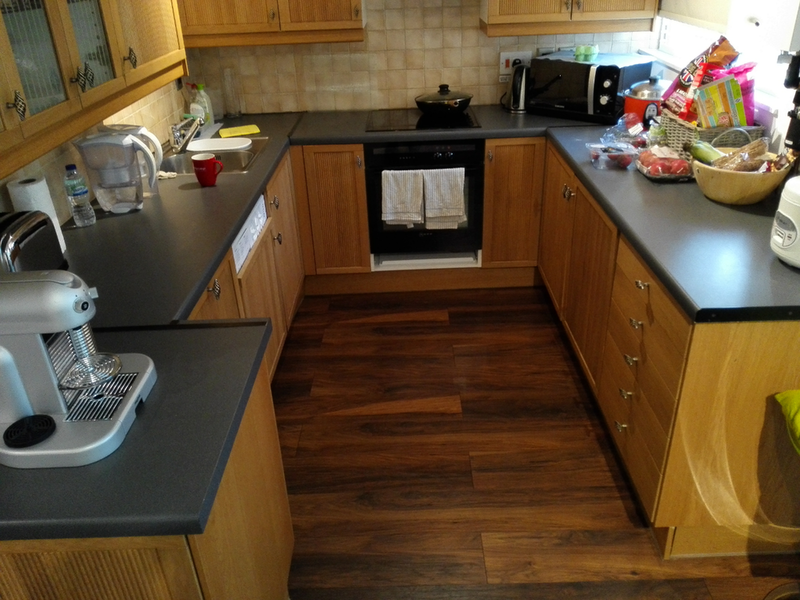 Worktop laminated, 29mm, similar colour. Dimensions from the right: 1835x610, 1850x610,2435x610,820x650 . Last piece is joined as on the second photo. Any better solution welcomed. Need two prices, with strips and with proper mitre joints. Holes for new sink and hob , without installations. I will disconnect old ones. Fast, clean and precise. Recommended.